This volume of Information & Security discusses several aspects of cybercrime and cybersecurity, focusing in particular on technical research in this field. It examines issues such as fraud detection and prevention, security protocols for outsourcing data, and authentication schemes on the Internet. It also contains articles presenting cybersecurity as a relative concept and assessing cybersecurity as a private good. The "Monitor" section provides a comprehensive list of cybersecurity-related internet resources. Editorial. "Securing Cyberspace." Information & Security: An International Journal 18 (2006): 5-10. Zaslavsky, Vladimir, and Anna Strizhak. "Credit Card Fraud Detection Using Self-Organizing Maps." Information & Security: An International Journal 18 (2006): 48-63. Chen, Tzung-Her, Du-Shiau Tsai, and Gwoboa Horng. "Secure User-Friendly Remote Authentication Schemes." 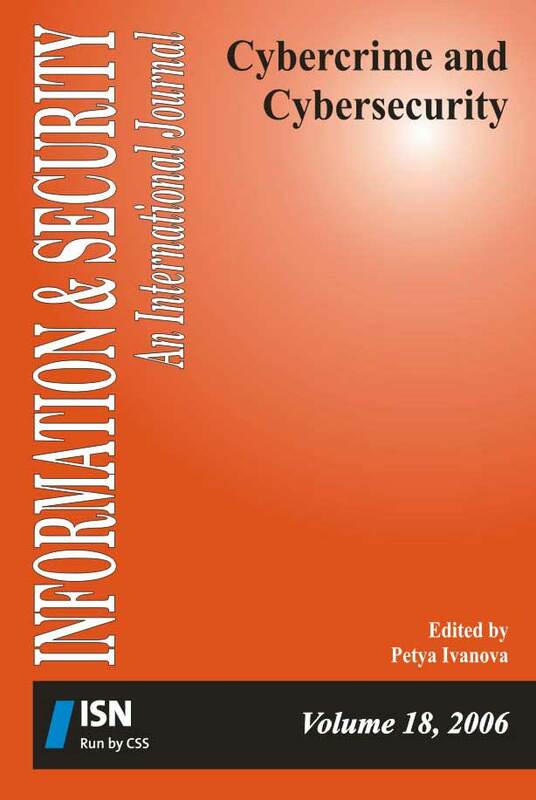 Information & Security: An International Journal 18 (2006): 111-121. Chang, Chin-Chen, and Jung- San Lee. "An Efficient and Secure Remote Authentication Scheme Using Smart Cards." Information & Security: An International Journal 18 (2006): 122-133. Monitor, ISIJ. "Managing Cybersecurity Resources: A Cost-Benefit Analysis." Information & Security: An International Journal 18 (2006): 137-147. Monitor, ISIJ. "Cybersecurity-Related Internet Sources." Information & Security: An International Journal 18 (2006): 148-149.